Pink and Grey on a white background. Chocolate backdrop with a beautiful pink flower. Our main focus when we started Celebration Designers was to create wedding invitations that are beautifully embellished with ribbons, crystals and rhinestone buckles. We still make those of course, but wanted to expand our market to those brides that are looking for something a bit more simple and affordable, yet still customized to them. 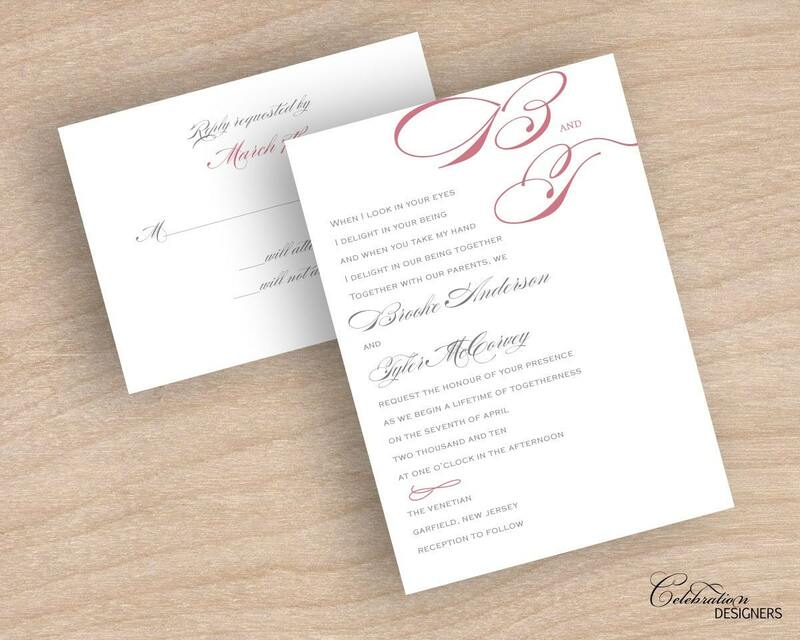 Our new line of invitations is just that! We are adding new invitations and birth announcements every day so keep checking in to see what's new. You can also keep up to date on what's new and exciting by signing up for our newsletter on our website, www.celebrationdesigners.com. Check out our new birth announcements on our website. We are coming up with new affordable designs every day. Today is our 1 yr anniversary! One year ago today, Celebration Designers first started in business with the help of our former Partner and great friend, Phyllis. We'd also like to extend thanks to our family for supporting us during this time. This has been one crazy year! We'd also like to thank our dear friends, Grace and Enza, for being with us when we first started. Our thanks also goes out to our customers for making this a great first year. Cheers to another wonderful year and many more to come! 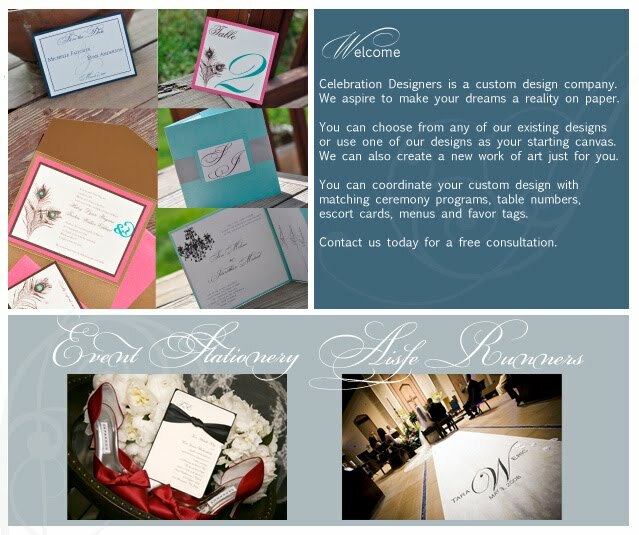 Celebration Designers will be donating one of our designs to Wish Upon a Wedding. Wish Upon a Wedding is the world’s first nonprofit wish granting organization providing weddings and vow renewals for couples facing terminal illness and serious life-altering circumstances regardless of sexual orientation. 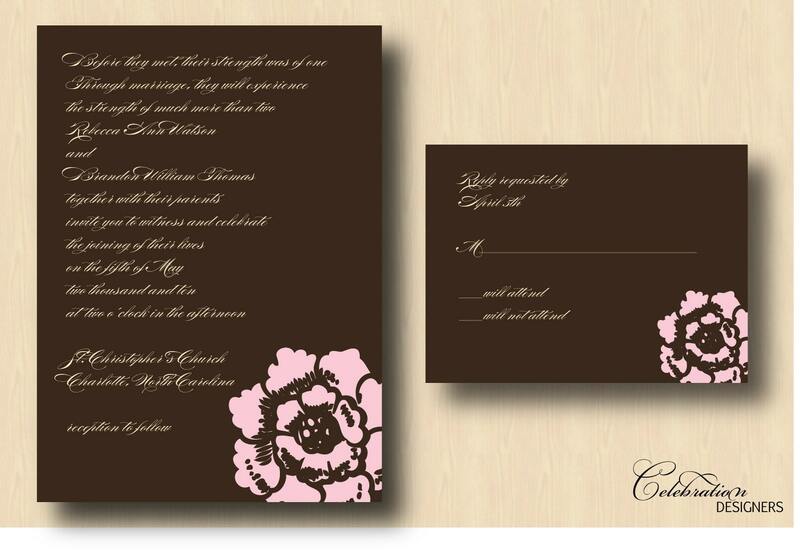 We will be donating The Brittany Wedding Invitation to one amazing bride. If you are a wedding vendor, don't delay...donate to this amazing cause today! Check our our review & giveaway on Everything Up Close! Check out Carlson Craft's line of Save the Dates. There's something for everyone.